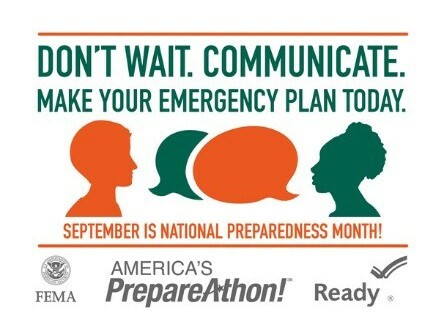 September 11, 2015 by Lynette M. Fraga, Ph.D.
It’s no coincidence that we’re headed into hurricane season just as Emergency Preparedness Month is beginning. Hurricane Katrina, now ten years ago, has shown us where we’re lacking in disaster and emergency preparedness as a country, and where we need to step up as organizations and individuals. In order to help families better prepare for the unexpected, organizations like FEMA.gov, Save the Children, and the American Red Cross have created resources to help child care providers and families organize processes in case of an emergency. Learn about the protective measures you can take every season, not just September, to make sure your family is always ready for a natural disaster or weather emergency! Ready.gov shows you how. Download the Save the Children Disaster Checklist – there’s one for parents and one for child care professionals. Be sure you’ve created your “Family game Plan” for action. American Red Cross has steps and information you should check out, too!